With the invention of the electric light bulb, life was changed for countless people the world over. This remarkable, but simple, device has remained much the same for the last century, with only minor changes until recently. 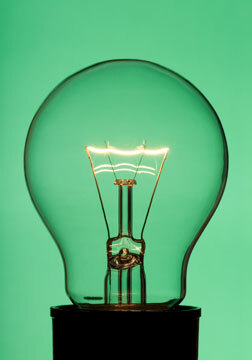 The original light bulb is known as an incandescent bulb. It relies on a filament resisting the flow of electricity that passes through it, consequently heating up and glowing. To prevent this fine wire or filament from burning up, it is enclosed in a glass bulb devoid of oxygen. Most residential light fixtures and lamps use incandescent bulbs. CNET. Wednesday, 17 Apr 2019 10:00:12 +0000. BBC News. Tuesday, 16 Apr 2019 17:02:30 GMT. 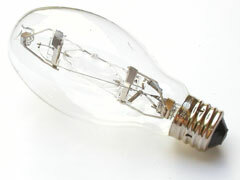 The next generation of bulb to gain popularity was the fluorescent bulb. It relies on a high voltage generated by a ballast to excite mercury vapor in an argon or neon gas-filled tube. This results in plasma producing short-wave ultraviolet light that causes phosphor to fluoresce. This "fluorescing" is what produces the light, hence the name "fluorescent" bulb. These bulbs are energy efficient and cool to the touch, making them the ideal choice for large spaces such as office buildings and classrooms. A newer type of fluorescent light bulb, the compact fluorescent bulb, is attracting homeowners who wish to cut their utility bills and make their home lighting more energy-efficient. A third type of light bulb, the halogen bulb, uses a tungsten filament placed inside a quartz envelope. The gas inside the envelope is from the halogen group, giving the light bulb its name. 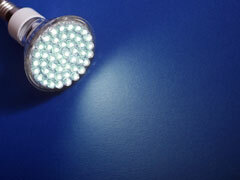 Halogen bulbs also lose less energy through heat than traditional incandescent bulbs, and are more efficient. Another type of bulb is the high intensity discharge variety, also known as HID. Voltage is amplified in a transformer and channeled into the bulb where it jumps between two tungsten electrodes in a gas a metal filled quartz or alumina tube. The light is given off by metal that is heated to the point of evaporation. There are several variations of HID bulb, including mercury vapor and metal halide as well as high-pressure sodium and xenon short-arc bulbs. Mercury vapor bulbs were the first commercially available HID lamps and traditionally give off a bluish-green light that is now also available in a color-corrected whiter bulb. However, they are often being replaced by more efficient HID bulbs, such as high-pressure sodium and metal halide. Metal halide bulbs produce a whiter, more natural light than mercury vapor; high-pressure sodium light bulbs give off a pinkish-orange glow, but are much more efficient and typically used in areas where light pollution would be a problem. Xenon short-arc bulbs provide a very focused light source but relatively small lumen efficiency. They are often used in optical instruments, movie projectors and other precision instruments, although this type of bulb is being increasingly used in automotive headlights due to its clean, bright, white light. Other important light sources include the neon bulb, which can be shaped into curved tubes and is often used for retail signs, as well as decorative fiber optic lighting, which is comprised of thin optical fibers that transmit light very efficiently. GE Lighting features consumer lighting products for the home as well as commercial and industrial products for lighting distributors and designers. Philips Lighting offers a broad selection of light bulbs and LED lights for home, professional, and automotive use. Osram Sylvania, one of the oldest lighting suppliers in the world, is a leading designer and manufacturer of innovative lighting products and services. In recent years, efficient Light-Emitting Diodes (LEDs) have begun to revolutionize the appearance and quality of lighting in our homes, offices, and public spaces. These solid-state light sources are illuminated by electrons moving through a semiconductor material. A similar lighting technology, Organic Light-Emitting Diodes (OLEDs), consists of carbon-based compounds, in sheet form, that glow when a current is applied through transparent electrodes. In fact, the days of traditional incandescent light bulbs may be numbered, according to this April, 2006 BBC News article about energy-efficient OLEDs. This Light Bulb Guide, published by CNET, features extensive information about current light bulb technologies, prices, and tradeoffs.